The hull of an old patrol boat. Photo: Alper Böler. Used with permission. 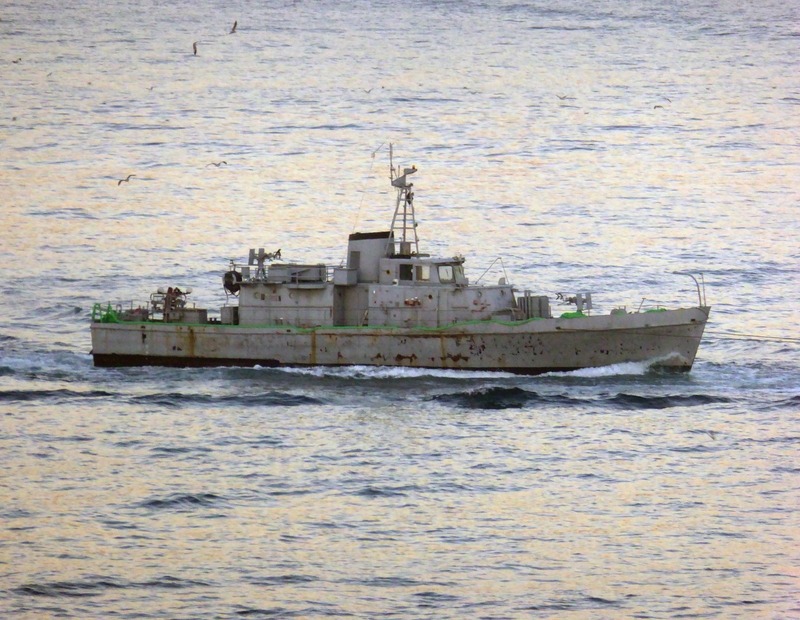 A commercial tug was towing this old hull of a former Turkish patrol boat to the Black Sea. As far as I know there are no ship breakers in Black Sea, this means she is about to get sunk. The hull belonged to one of the 4 former Turkish gun boats TCG AB-21 to TCG AB-24. All of the fours were build in 1967 in USA by Peterson Builders, Sturgeon Bay, WI. The first pair was delivered in late 1967 and the second pair in early 1968. They stayed in Turkish service well beyond 2000’s. I have no record of their exact decommissioning dates but must be later than 2005. That’s still a better end than the breakers. My old ship has been destined to become razor blades for months. The only reason it hasn’t happened is because of all the budget battling in DC.